Valentine's Day ... the sweetest holiday of the year. Laugh yourself silly listening to tales of debauchery and adventure with writer and comedian Mamrie Hart while she reads from her latest book I've Got This Round at the Rainier Arts Center, February 12, get tickets here. An horological lecture that journeys through history, art, celestial navigation and mechanical magic. Field tripper Brittany Nico Cox of Memoria Technica kicks off the series on February 13th at the Stimson Green Mansion. Skate-a-roake at the Southgate Roller Rink - that's right, karaoke and roller skating February 14th, $10 includes your skate rental. Say it with a Pizza Gram, have Big Mario's deliver your affection with a heart-shaped pizza, rose and custom message on the box! February 14th from 12 - 10 p.m. Grab your honey and learn to swing-- a new session of dance classes starts at the Century Ballroom February 18th! 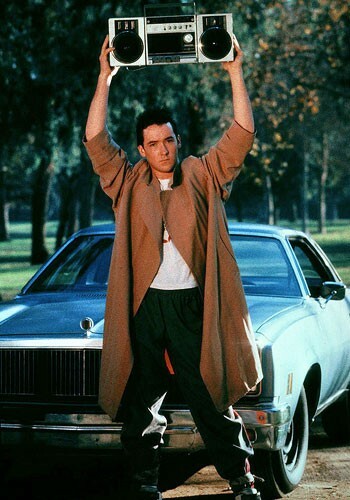 Stay in with some take out and Say Anything (filmed in Seattle) ... is there anything more romantic that Lloyd Dobler?